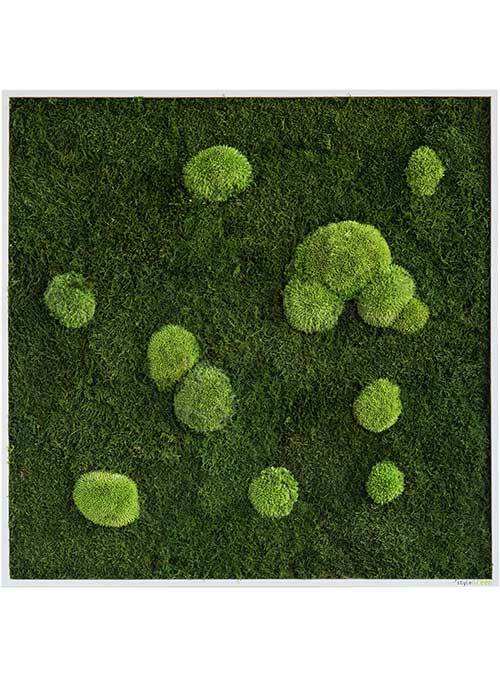 Select your moss and plant pictures from various greening types and sizes: Relaxing forest and pole moss, round, hilly pole moss, lush plant islands on forest moss, refreshing spring-green reindeer moss in one or two colours, or exotic-wild jungle. 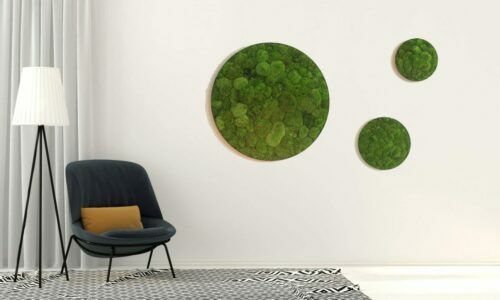 Our moss and plant pictures are framed in matte white wooden frames. 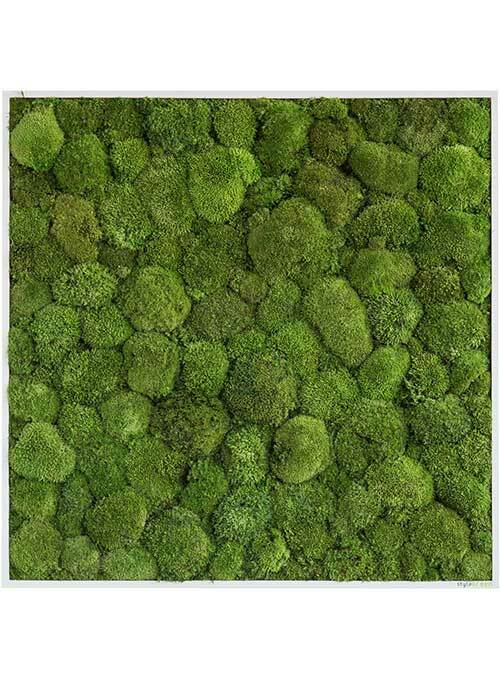 2-coloured reindeer moss pictures are only available in the sizes 80cm x 80cm and 140cm x 40cm. 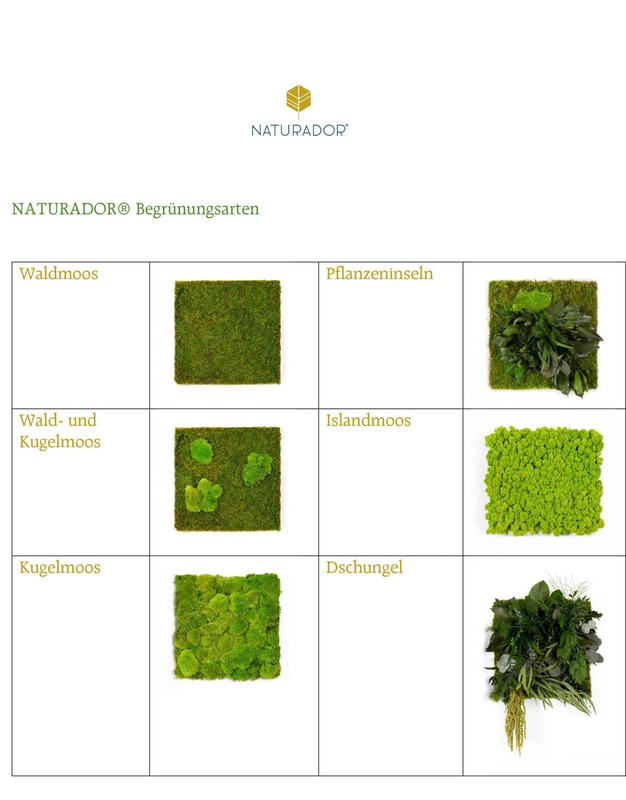 NATURADOR® vertical gardens are individual design objects from gently and naturally preserved mosses and plants from sustainable sources. They need neither water, nor fertilizer or light and are hand-crafted for you in a German manufactory. 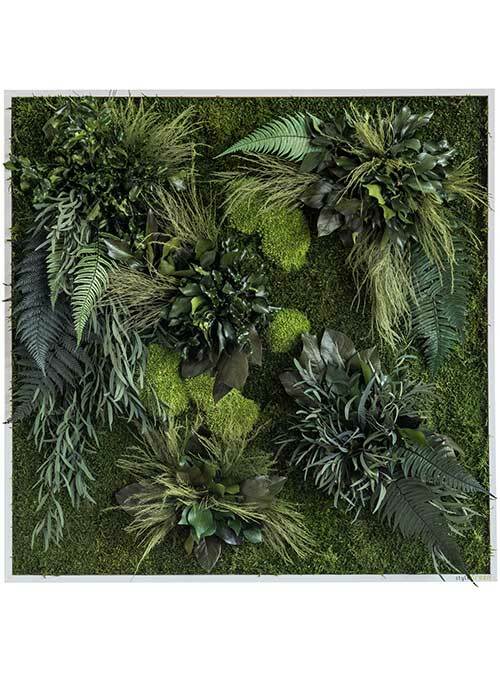 Create an exceptional ambience with NATURADOR® moss and plant pictures. 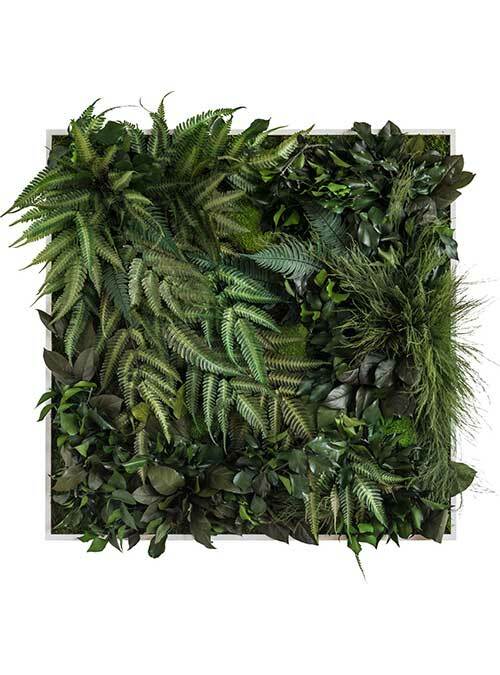 Zero maintenance – no water, no fertilizer, no light! 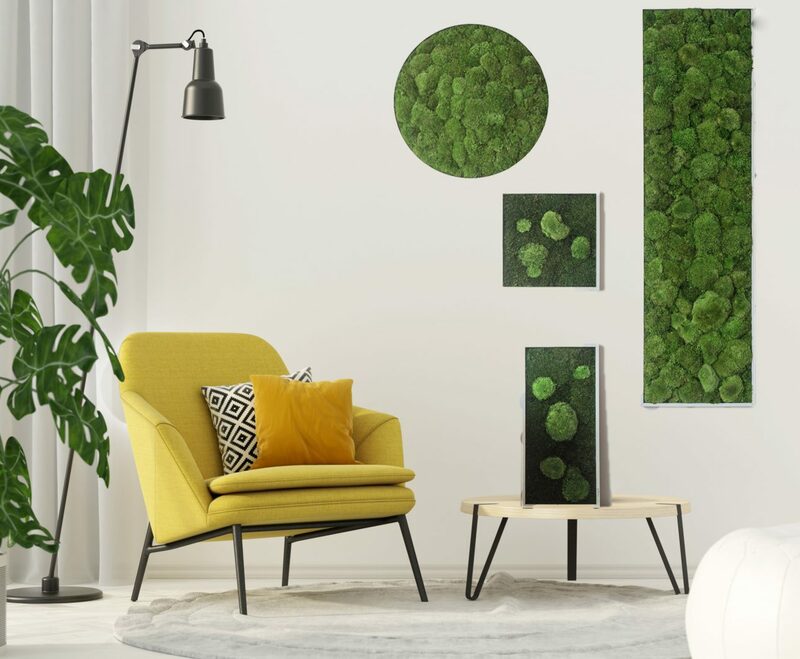 Whether you bring the jungle into your rooms with our lush greening made of ferns, eucalyptus, weeds and amaranthus, or whether you dream of a sunny walk in the woods when admiring the green pole and forest moss hills – NATURADOR® moss pictures enchant your walls.